April 12 is celebrated as the International Day of Human Space Flight, an important day for all space enthusiasts, scientists, astronomy researchers. It marks the first human entry in space. 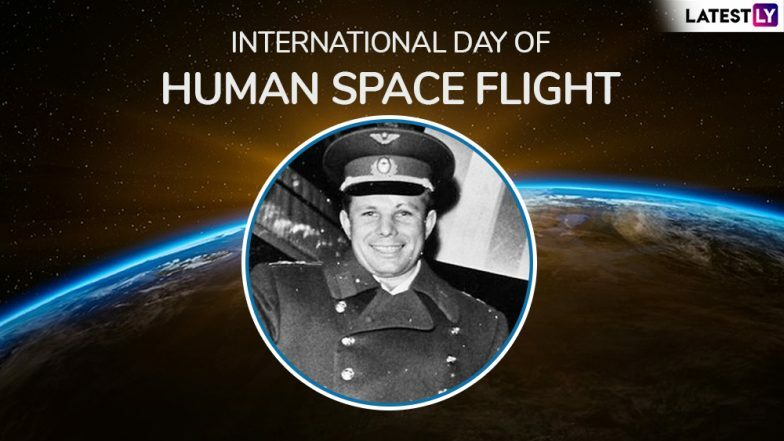 On April 12, 1961, Yuri Gagarin, a Soviet citizen carried out the first human space flight. Today marks 58 years when humans entered space. It was a historic moment when the gates for human exploration in space were opened. United Nation also promotes this day with photo exhibits, technological conferences and also giving more information into space travel. Yuri Gagarin crewed Vostok 1 space flight which made one orbit around the Earth over 108 minutes. This day is also commemorated as Cosmonautics Day since 1963. India: ISRO Unveils Human Space Flight Centre in Bengaluru. This day aims to promote more explorations in the space for peaceful purposes. The UN calls it is a day "to celebrate each year at the international level the beginning of the space era for mankind, reaffirming the important contribution of space science and technology in achieving sustainable development goals and increasing the well-being of States and peoples, as well as ensuring the realization of their aspiration to maintain outer space for peaceful purposes." There are commemorative stamps depicting the human space flight. They were released on or around the International Day of Human Space Flight in the past. In 1981, Yuri Gagarin's efforts were memoralised by making a statue of him near Saratov in Russia. ISRO Not To Fly Any Living Being Before Actual Manned Space Mission. Today, scientists have developed space stations, conducted several experiments, launched many missions to explore the outer space. A possibility of life beyond our planet is also being studied. All of these efforts began with Yuri Gagarin's historic entry into the outer world. Thus the International Day of Human Space Flight is very significant in the field of science.